As we relish the last few days of the holiday season, cuddling up before the fire after bracing winter walks (or, if you’re on the other side of the world - perhaps having a long cool drink by the swimming pool?) we can reflect on the last year. • What did it do for us? • What did we achieve? • Did we really spend more time training with our dog? • .. or do we just think about it and expect it somehow to happen ;-) ? • Is our relationship with our pet further on than it was last year? Reflection is an important part of progress. It’s vital to see what you’ve achieved, and perhaps what you failed to achieve, in order to make sensible and do-able plans for the coming year. We learn all the time what we can and can’t do, where we are strong and where we need a bit of help. Personally, I can say it was a year packed with achievement for me. I published three more books, four more online courses, and hosted a live workshop which was hugely popular. The books are continuing to collect many 5-star reviews on Amazon, and students have voted with their feet by joining the new online courses and their busy support groups. I’ve started Coco Poodle on competitive Obedience training and have been fortunate to find a fantastic trainer - who has made up several Obedience Champions herself. And Lacy goes from strength to strength, able to cope with almost any situation, especially the important task of monitoring Squeak the Cat’s comings and goings. Rollo the Border Collie continues to guard his chickens, and they repay his attentions with plenty of eggs. And as for Cricket the Whippet? Well, this year she learnt how to get into a folded duvet and smother herself warmly with it. Quite an achievement for a little woppit. She can now wrap herself up so I don’t have to be forever swaddling her and tucking tail and feet and pointy nose and ears in under the covers. We’ve been to lots of new places around the country in the van, making new friends and discovering exciting new beaches and forests. 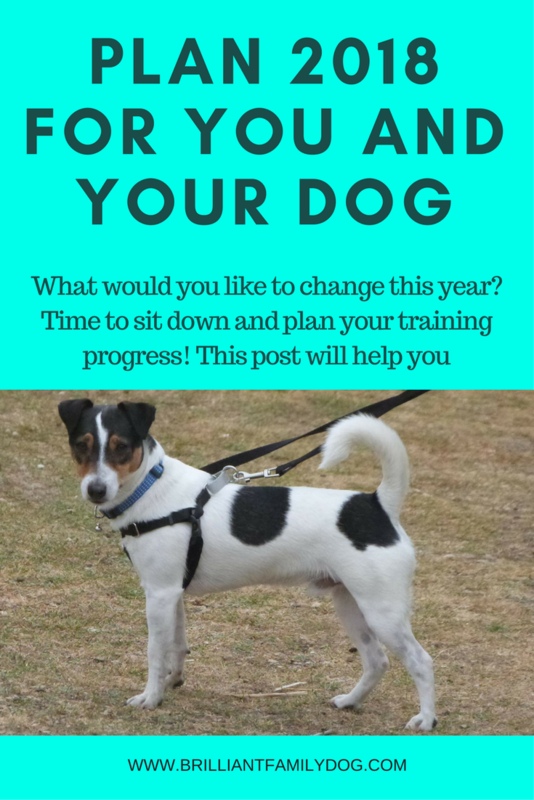 • Perhaps this is the year you’ll get a cracking recall from your dog? • Maybe you’ll be able to leave food anywhere by next Christmas without it being scarfed down? • Maybe your reactive dog will get a bit more confident and able to take more in her stride? Make your plans, and go for it! And if you think I can help you - just ask. Want to be able to train your dog kindly and without frustration? Join the busy students enjoying the training videos in my new mini-courses! And here's the course for slightly older dogs!